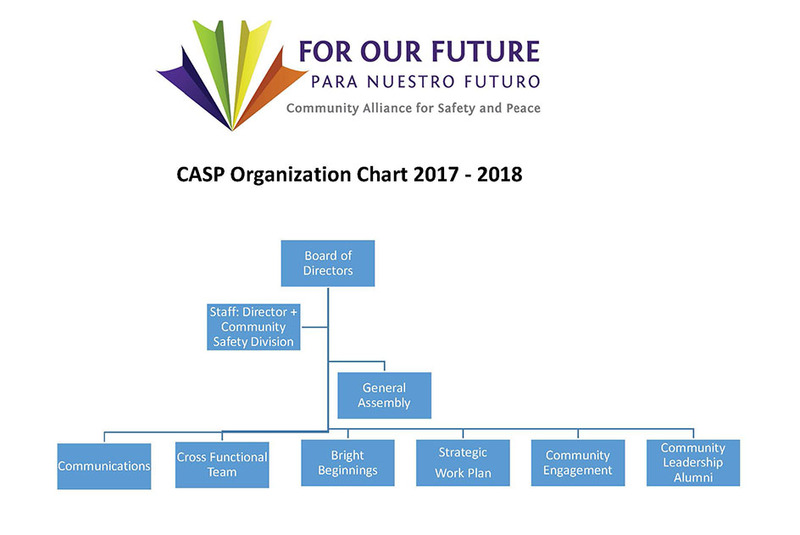 The Community Alliance for Safety and Peace (CASP) is a cross-sector collaboration forged to reduce youth violence and to change the pervasive culture of violence that currently harms the families, neighborhoods, and communities of Salinas and Monterey County as a whole. CASP is part professional networking organization, professional learning community, and policy advisory group. Through partnership and alignment of resources, the over 60 member agencies do the heavy lifting of the daily violence prevention, intervention, enforcement and re-entry work. For more information, refer to our PIER Strategy Against Violence in English and Spanish.